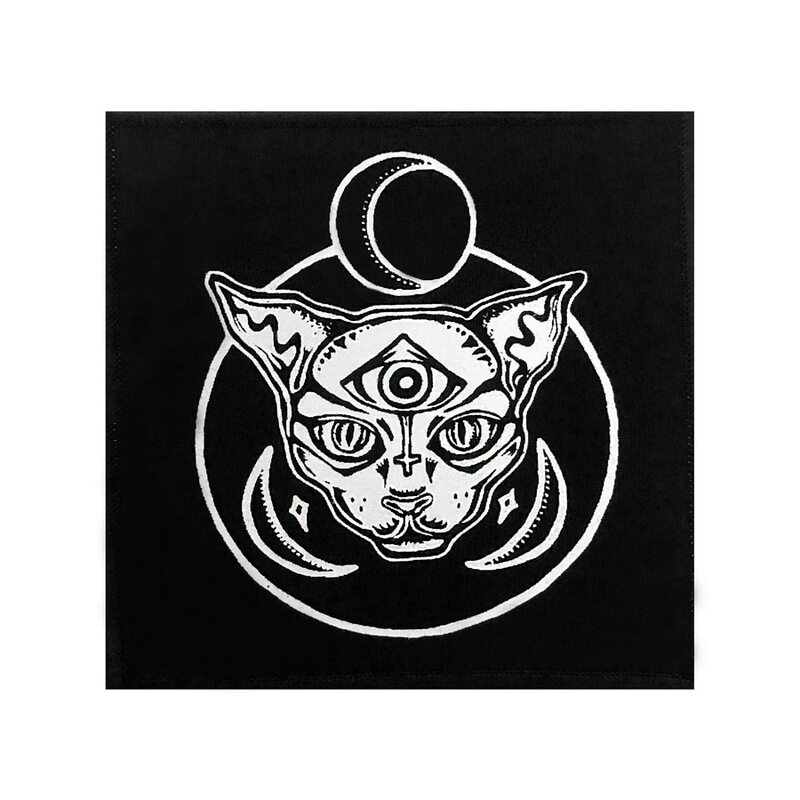 Sew on Celestial Cat patch, makes a perfect addition to any jacket or denim vest. 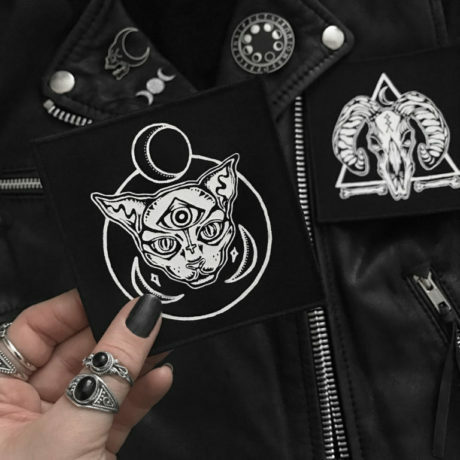 Custom made for Hellaholics. Unique artwork by illustrator Amanda Goldie de Aguiar.